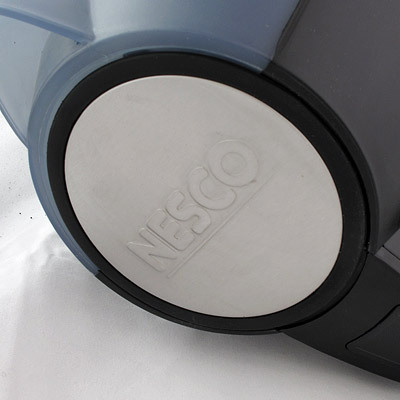 Sorry, we are currently sold out of 'Nesco Electric Kettle'. Please check back later. This cordless electric water kettle delivers an impressive 1500 watts of power to heat water quickly. The body detaches from the swivel power base where the cord is stored. Of particular interest is the large 64 ounce capacity that this kettle is capable of bringing to a boil, more than enough for a 12 cup drip pot of coffee. It is energy efficient too, using about half the energy of a stovetop with speed greater than a microwave. The kettle features a partially translucent body that makes it easy to see the water level. There is a 3 way automatic shut-off switch and boil dry protection that shuts the unit off when no water is present. There is a removable, washable nylon water filter built into the spout, helpful for those with hard water. The concealed heating element is made of stainless steel. Other features include a hinged lid with stainless accent and a steam sensor that shuts off the unit as soon as a boil is detected. 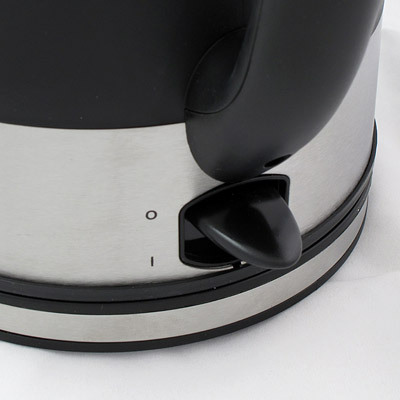 The kettle's design is equally accessible for left and right hand persons.